Ghana’s military is one of the most professional, experienced and well organised in Africa and is being modernised through a strategic plan approved by Parliament several years ago. This modernisation aims to improve the state of readiness of all three arms of service, allow for faster response to emergencies and improve the human resource base of the Ghana Armed Forces. In addition, the modernisation plan requires the Ghana Armed Forces to be reorganised, re-equipped and retrained in order to protect the country’s vital oil sites, which are a major source of wealth. Consequently, major procurement projects were green-lighted in 2010 and have been followed by numerous purchases – in 2012 alone, the Ghana Navy took delivery of eight new vessels and over the last couple of years the country has received transport and surveillance aircraft and helicopters. In light of Ghana’s recently discovered offshore oil and gas deposits, the country been reviewing measures to safeguard its waters, most importantly to protect its oil installations from pirate attacks. Piracy in the Gulf of Guinea is not on the scale of that off Somalia, but is rising quickly. The country has set up a vessel traffic management and information system (VTMIS) to provide electronic monitoring of its entire coast. It continues to strengthen its navy and acquired two DA 42 surveillance aircraft configured for maritime surveillance. 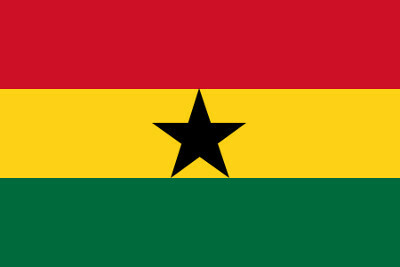 Ghana has also entered into agreements with its neighbours on ways to tackle piracy and armed robbery at sea. In light of Ghana’s military modernisation, the defence budget has been expanded. For 2013 it was increased from GHS201 million to GHS575 million ($301 million) as the Ghana Armed Forces acquires new equipment, including small arms, armoured vehicles and more. Ghana’s armed forces have not engaged in any external conflict since independence in 1957 but the country has been heavily involved in peacekeeping operations, notably in Sierra Leone and Liberia. This has given it valuable combat experience. External •	None, although increasing incidence of maritime piracy in the Gulf of Guinea is of concern. Internal	 •	None, there are however occasional flare-ups of violence between rival chieftaincy’s concerning the use of natural resources, especially in the country’s northern and upper east regions. Regional	 •	The security situation within Cote D’Ivoire may affect the country’s foreign security policy making. Economic •	50% of Ghana’s domestic economy resolves around services and any disruption to the country’s labour capabilities would have negative impact on the country’s economy. •	50% of Ghana’s exports are exported to South Africa and any disruption to these exports would negatively affect Ghana’s potential to generate income.